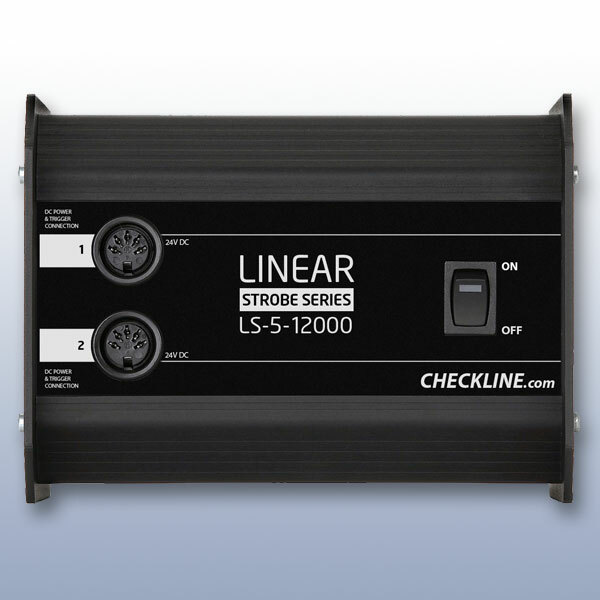 The LS-5-12000 Stroboscope is designed for fixed mounting on all machinery that utilize a strobe for visual inspection including, rewinders, slitters and similar process equipment in the label printing and process market as well as many others markets including vibration analyzers, balancers, metal producing equipment and much more. 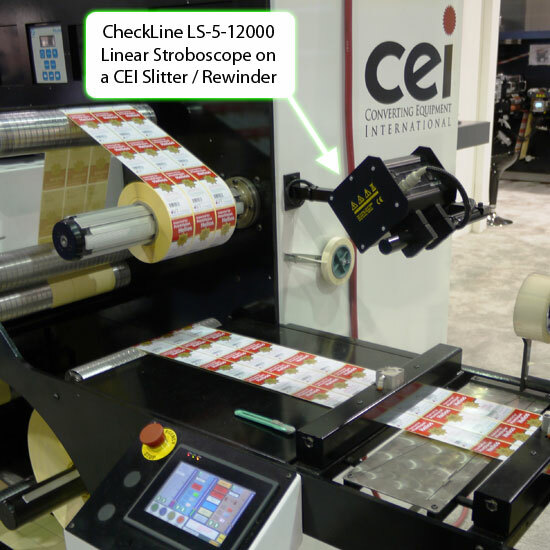 The LS-5's flash rate can be externally triggered by an external sensor/controller on the process machine or the LS-5-RCU Remote Controller can be optionally specified for this purpose. Refer to separate webpage on the LS-5-RCU. The LS-5 produce a bright, sharp image under observation when the flash rate is synchronized with the "repeat rate" of the web material. 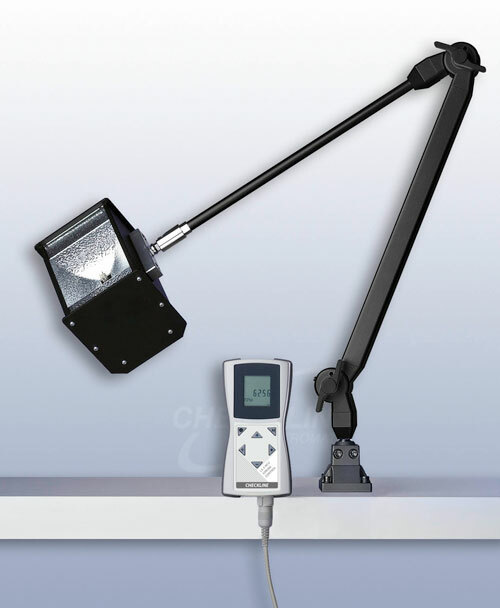 The strobe operates using 24V DC using power already available on the machine or by using the our worldwide AC-DC power adapter available as an option. 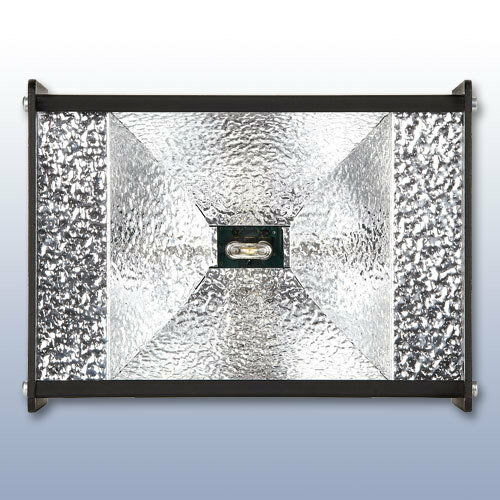 The brightness, sharpness and uniform light output provided by the LS-5 is unmatched in the market based on it compact size and low cost. 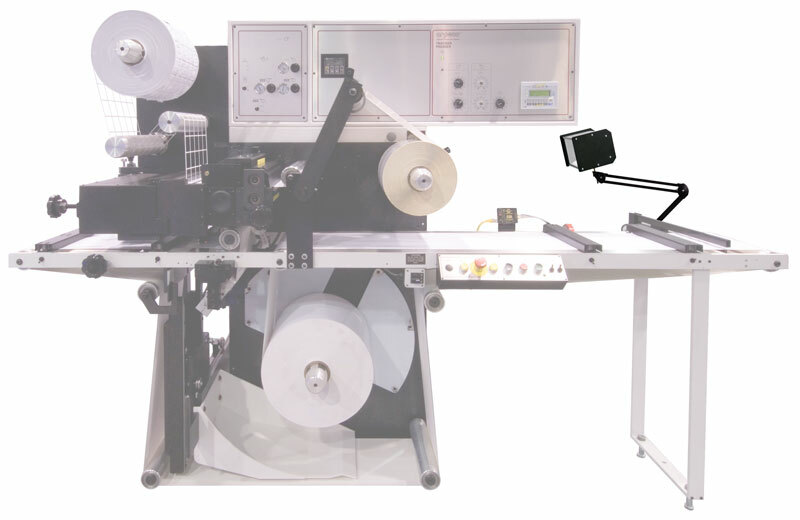 It is especially well-suited for use on narrow web equipment up to 16 inches in width (400 mm width) and even wider. Two or more units can be used together in a Master/Slave arrangement when wider web widths must be covered. 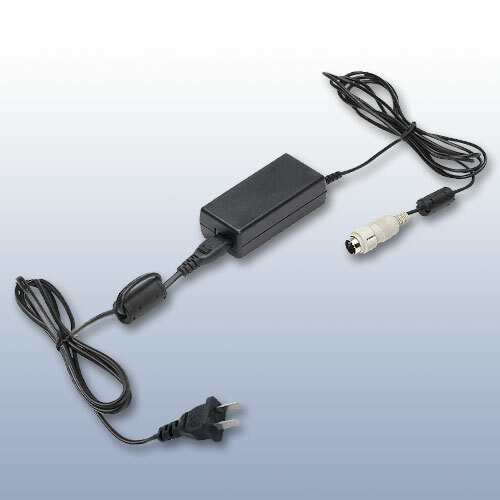 Requires 24V DC Power (Not Included), An optional power adapter is available. 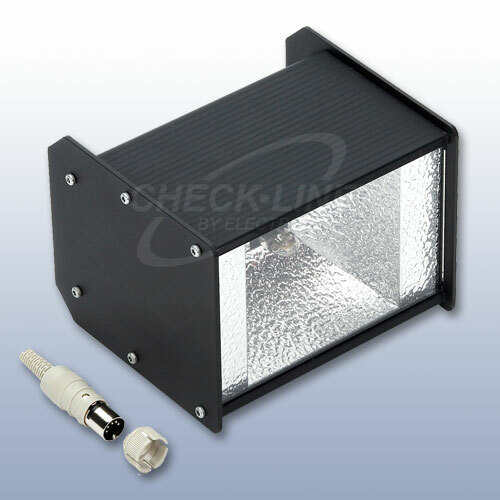 Optional UV-Kit is offered to illuminate any UV printing requiring inspection. 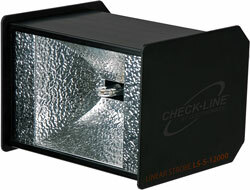 Includes special UV flashtube and lens. 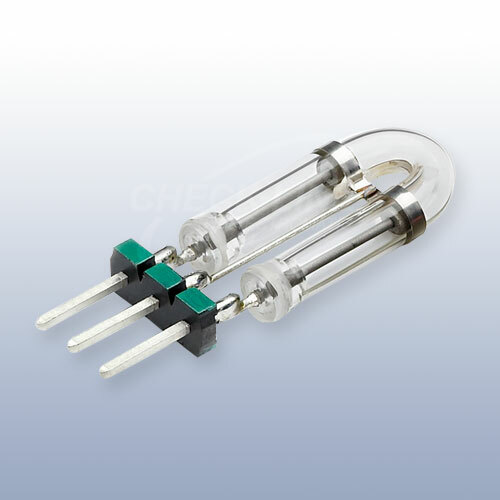 - Only label sensor on the market that is immune to the interference caused by a strobe. 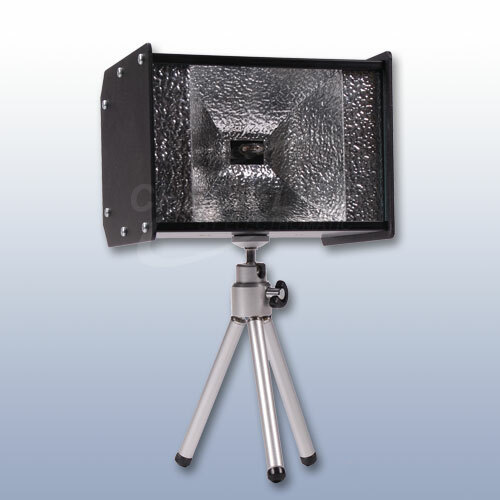 - Extremely bright and uniform light distribution for web widths up to 12" (300mm) and wider. 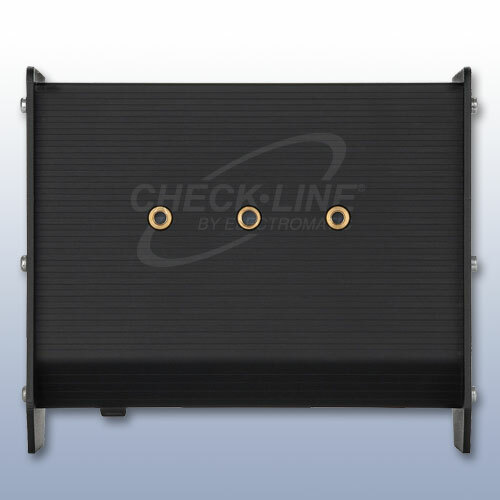 Dimensions 150 x 130 x 112 mm / 6.0" x 5.1" x 4.4"